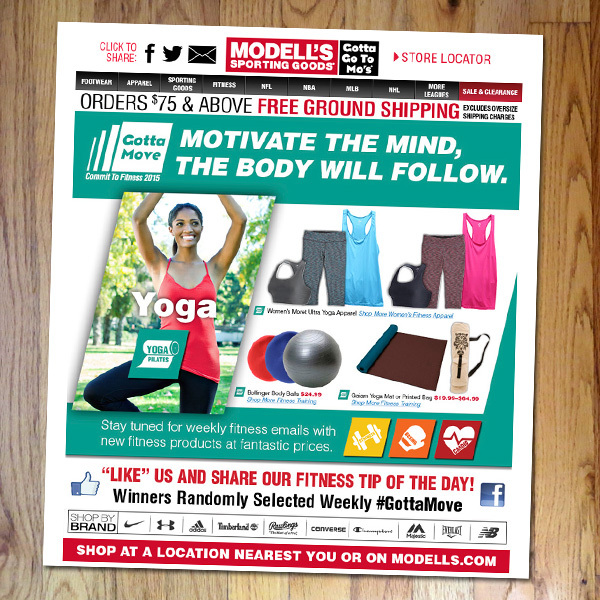 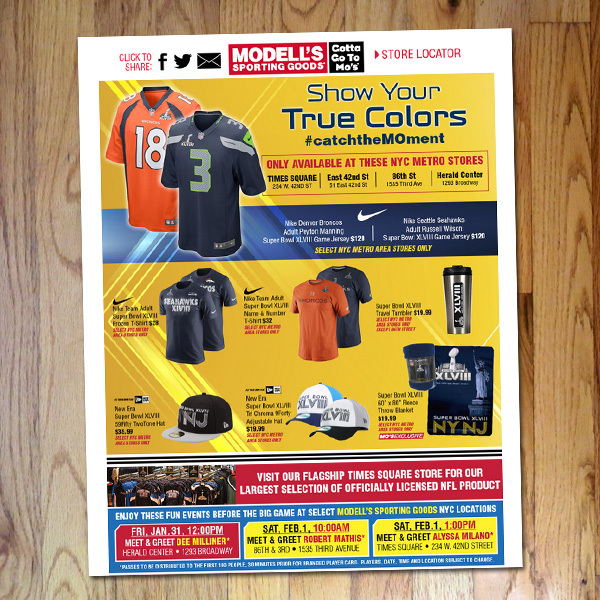 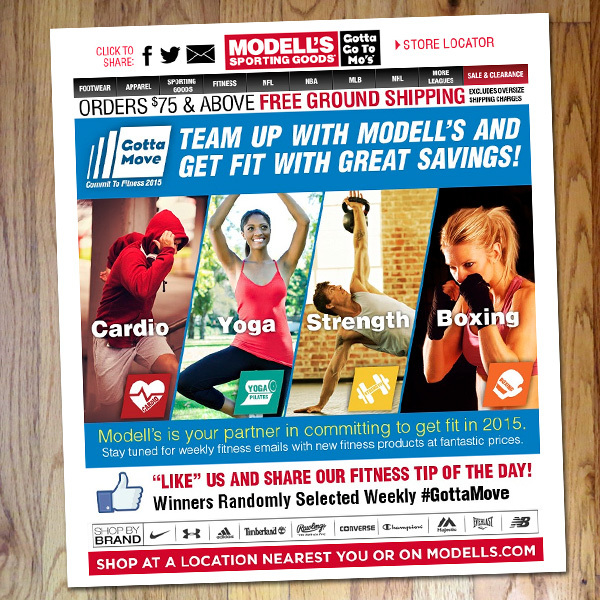 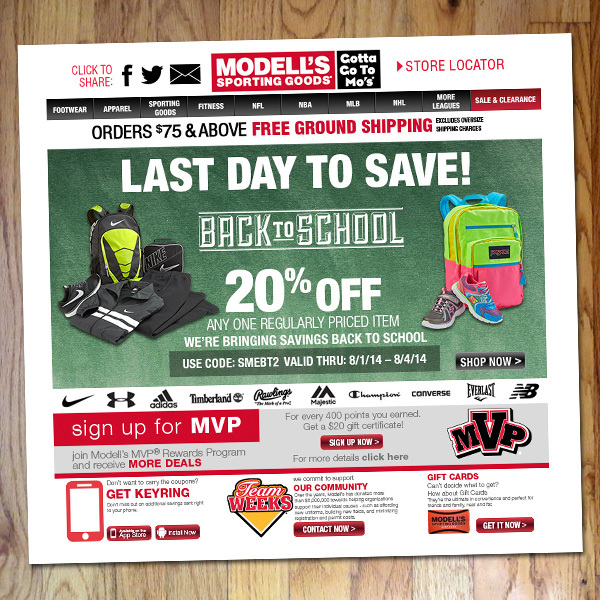 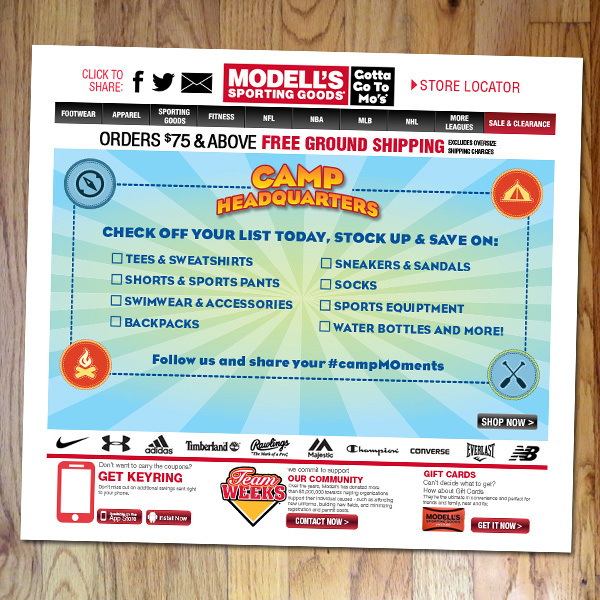 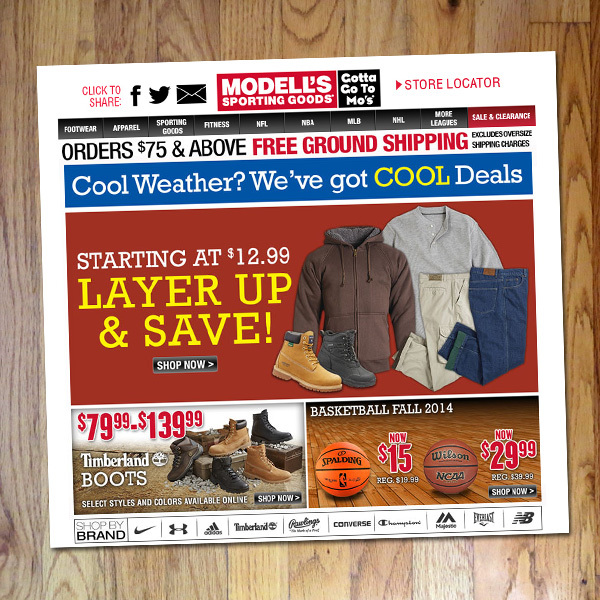 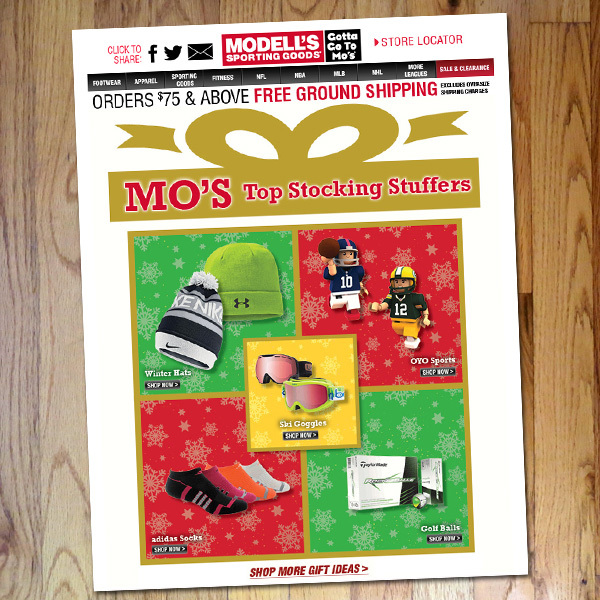 While I was at Modell’s, we were exploiting all the various marketing channels available to us, especially digital and web. 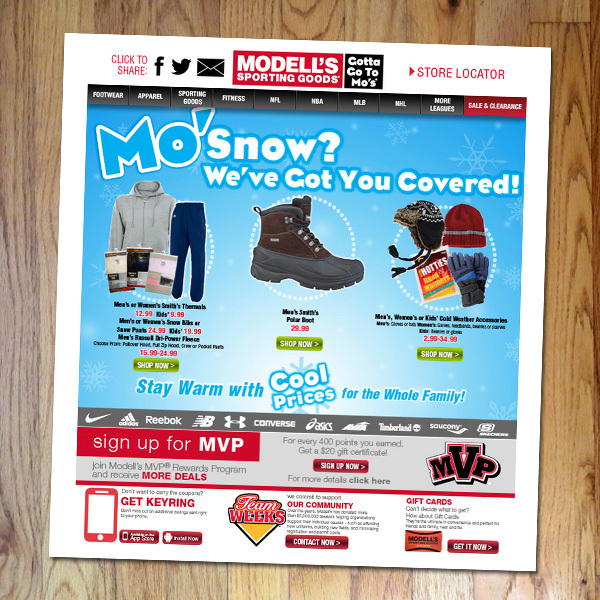 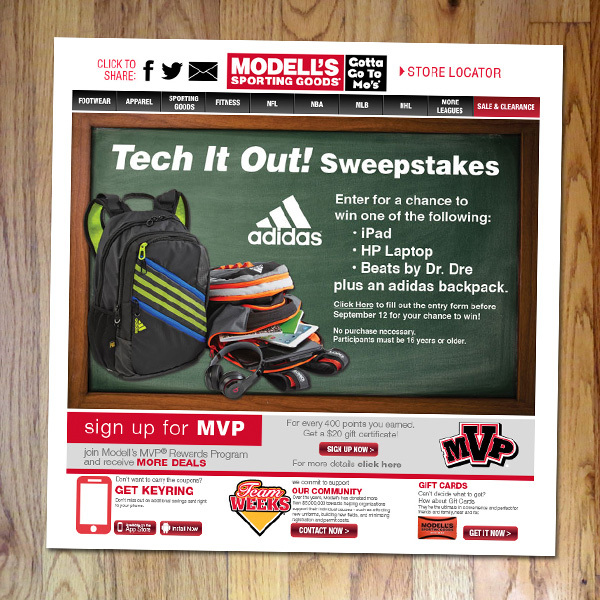 A large digital push was obviously through their website at modells.com (which I oversaw and art directed all design and campaign updates), with a huge database of MVP and e-mail subscribers, we sent weekly e-mail campaigns (normally 3-4 e-mails a week to targeted subscribers) either as “weekly deals,” circular/advertising support, special campaigns and even hot market initiatives (Let’s go Rangers!). 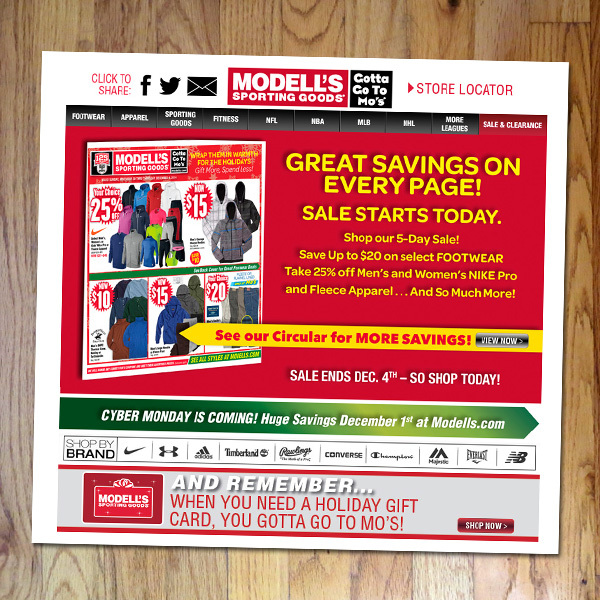 Working with the digital and print design creative services team (Kiki Sueyoshi, Peter Ahn, Vinny Lee and Patrick Gwon) and our ESP Delivera, I art directed or designed many of the e-mails we sent during my tenure. 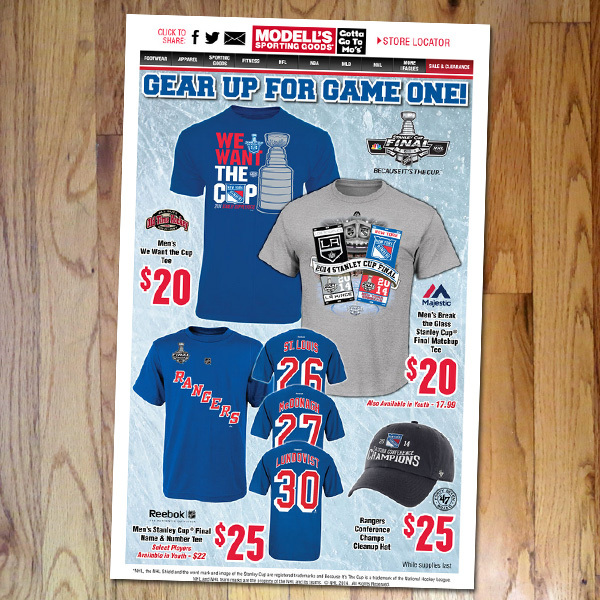 Here’s a very small sample of some of the more successful campaigns.